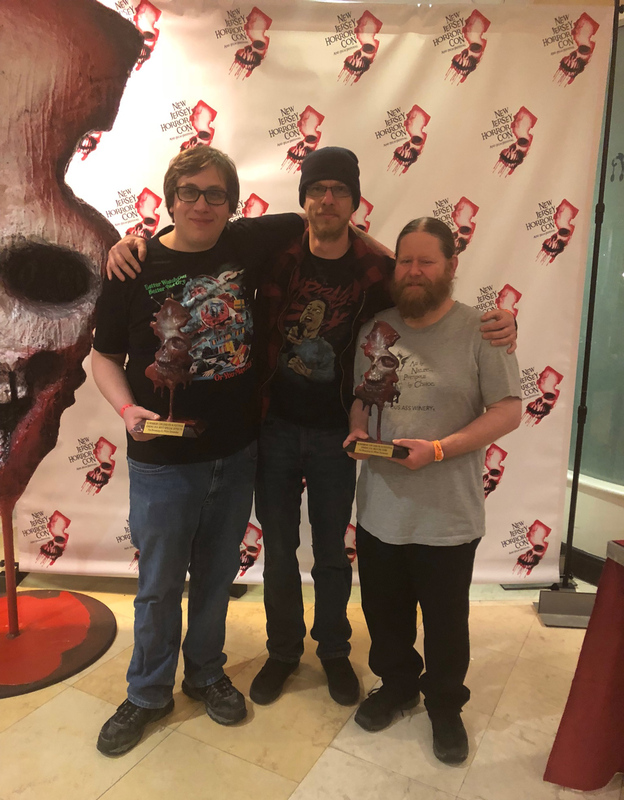 Reel Splatter Productions » Doomsday Wins Big at NJ Horror Fest! Hey folks big news! 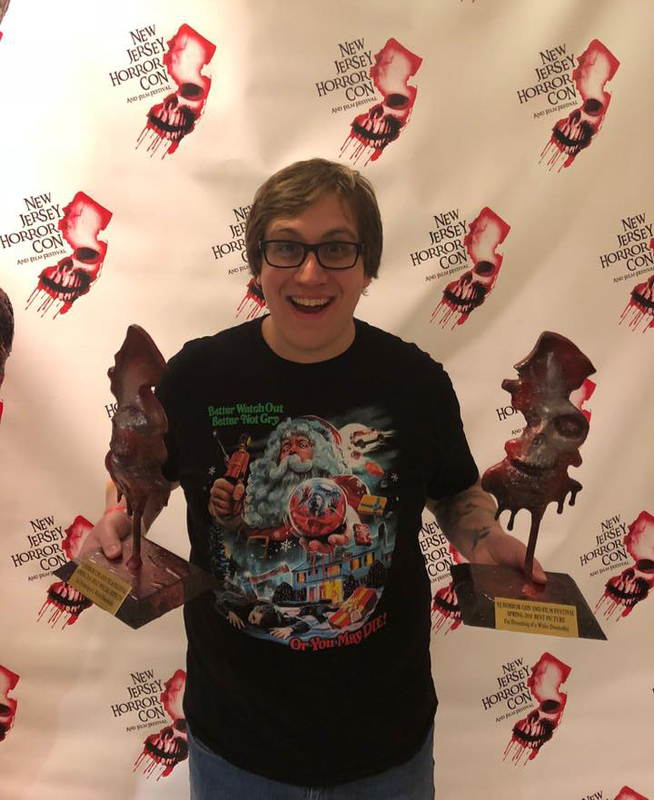 We are absolutely honored to announce that I’m Dreaming of a White Doomsday won Best Picture and Best FX, with Hope Bikle’s performance earning a Best Actress nomination as well at last weekend’s New Jersey Horror Con and Film Festival! 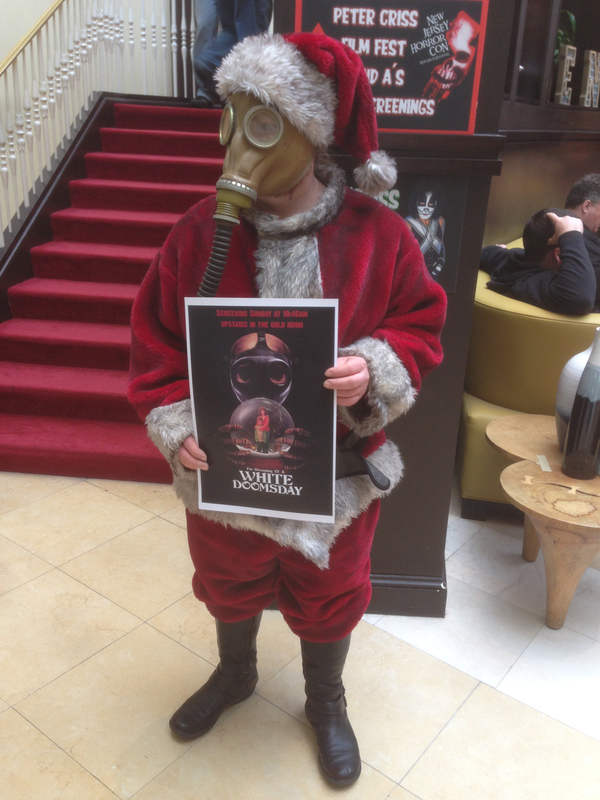 Santa himself: Shannon Moyer, wishing patrons a merry doomsday! Adding to the awesomeness was Tiffany Shepis and Adam Green presenting the awards, along with the guys from Impractical Jokers! 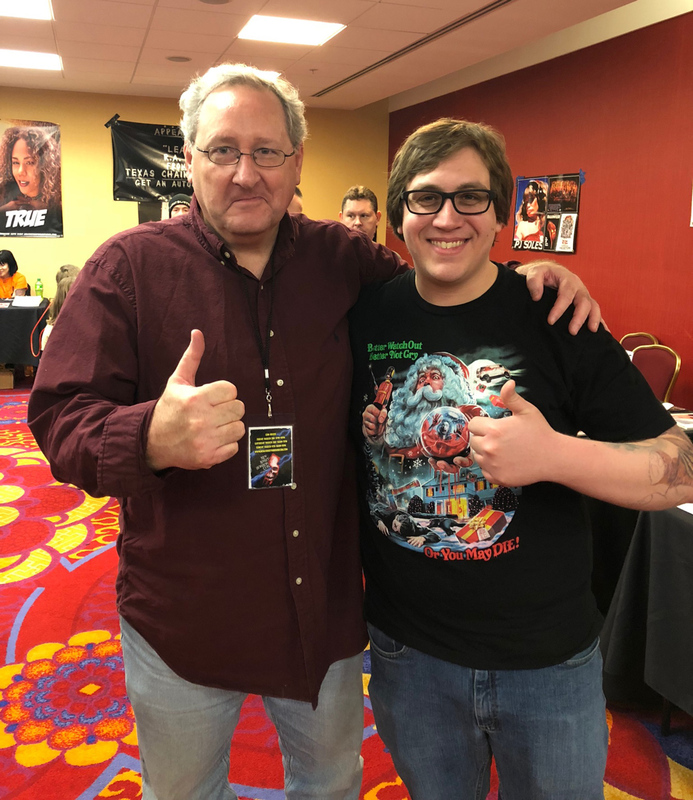 White Doomsday played alongside some incredible films, including fellow Nightmares Film Fest alumni, Flesh of The Void, 3 Dead Trick or Treaters, and The Son, The Father. 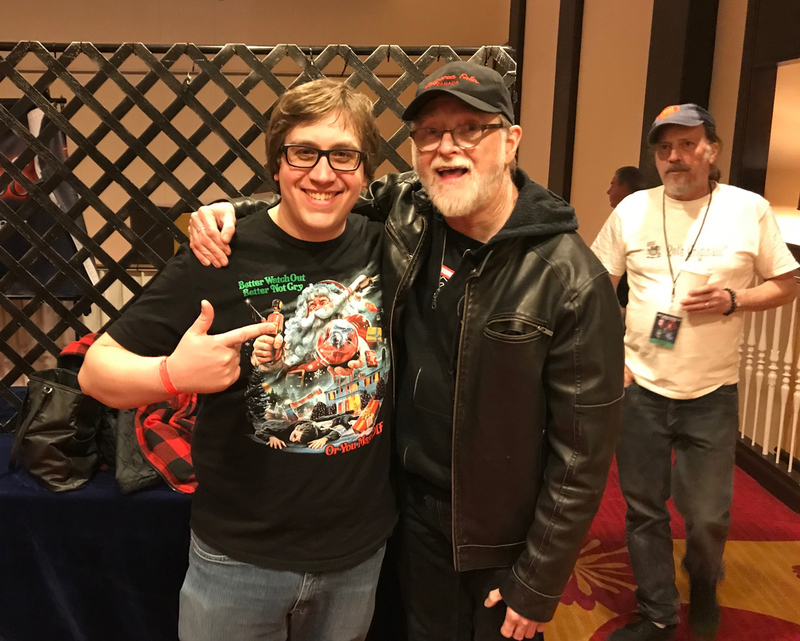 The whole weekend was an absolute blast, with personal highlights being able to meet and hang out with Ren & Stimpy co-creator, Bob Camp as well as Jeff Burr, the director of Texas Chainsaw Massacre 3, Night of The Scarecrow, Pumpkinhead 2, and as we discovered, several episodes of the 90’s Nickelodeon remake of Land of The Lost and Big Bad Beetleborgs! Bob Camp, a massive childhood inspiration! 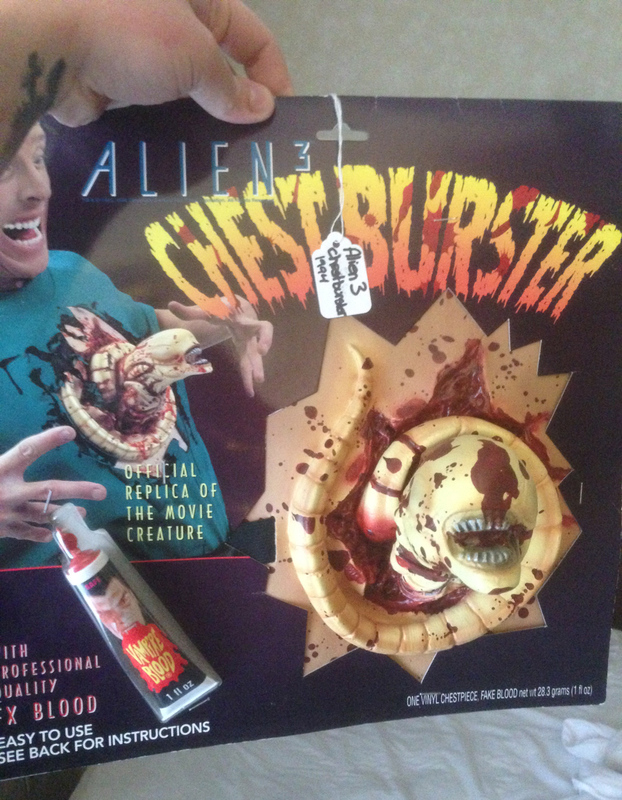 Another huge highlight for me was scoring this vintage 1994 Alien 3 Chestburster costume, still in the package! I wanted this little sucker when I was 7 years old, and finally at 31 it is mine! The real star of the weekend. Stay tuned for some upcoming interviews that we did at the fest, including this cool one from Blackboard Jungle. Bummed that you missed out on the screening? Don’t fret! There’s more festivals on the horizon, we’ll announce them as soon as we are allowed! Until next time, Happy Doomsday! In other news, yesterday was my 31st birthday! 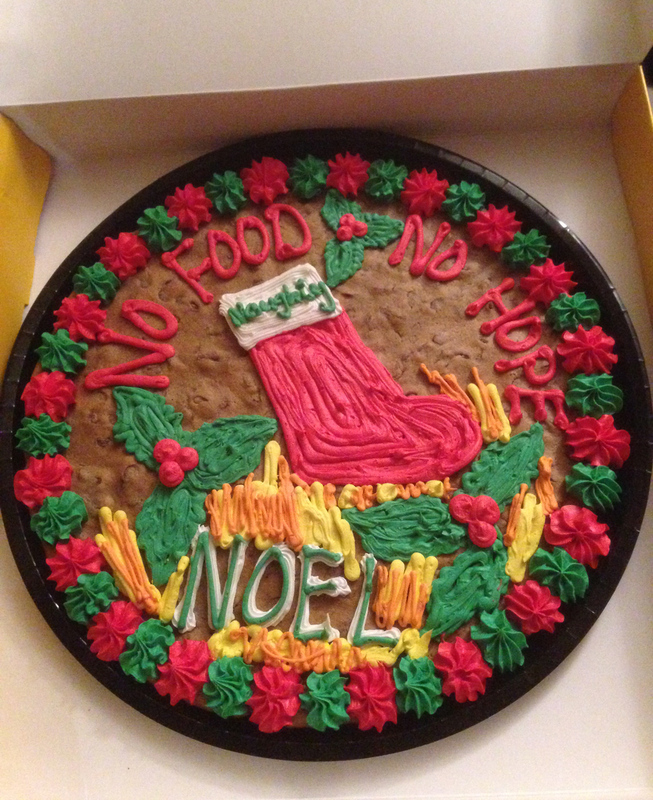 to celebrate, my good buddy Julius von Brunk disturbed the hell out of Nestle Tollhouse at the mall by commissioning the most nihilistic Christmas cookie cake ever made! This delicious Doomsday dessert featuring the movie’s tagline and a flaming stocking apparently failed to get the mall staff into the holiday spirit. Oh well, more for us.